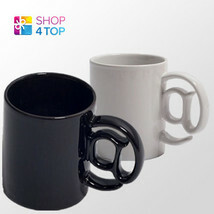 Top-Rated Sellershop4top consistently earns high ratings from buyers thanks to fast shipping and excellent service. 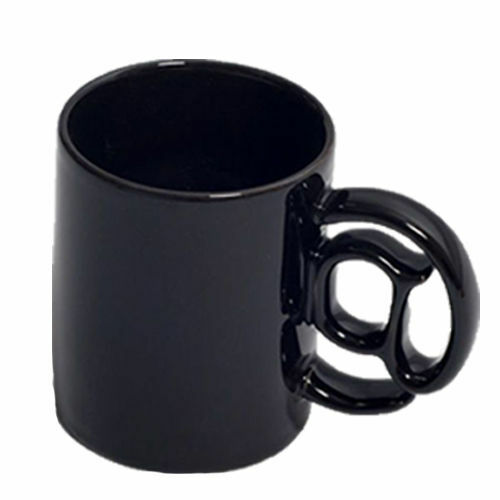 Home Categories On Sale About Us Feedback Add To Favorite Terms Contact Us QUALITY APPROVED DISPATCH IN 24 HOURS FREE SHIPPING @ MUG click thumbnails above to enlarge ITEM DESCRIPTION Nice mug with @ shaped handle. Not only for IT specialist! Ceramic. Capacity: 300 ml. (10 oz.). Dimensions: 10 x 8 cm. (3.9" x 3.1"). Weight: 330 g. (0.73 lb.). Designed by Gadget Master (Poland). Please contact us if you will have any questions. 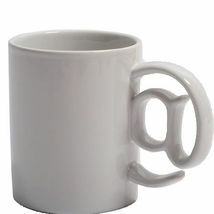 Nice mug with @ shaped handle. Not only for IT specialist! Shipping Payment Returns About Us Wholesale • All products are shipped from Kaunas, Lithuania (European Union). • All products are shipped on working days within 24 hours after cleared payment. • All products are shipped with "Lietuvos paštas" (www.post.lt). • Free shipping worldwide. • For shipping time please check "Delivery time table for International buyers" above. • We also offer UPS express delivery. With UPS you would receive your order within 2-3 days. • We accept the following payment methods: Paypal, Paypal Credit • You do not need Paypal account, you can pay with your credit or debit card via Paypal • If you do not already have a Paypal account, simply click on the 'Buy It Now' button and follow checkout instructions • You then be able to enter your card details in order to pay via Paypal even if you do not already have a Paypal account. • Paypal is safest, easiest and quickest way to make online purchases. • Paying via Paypal also ensures that your purchase is fully protected and guaranteed. • For all returns please contact us within 30 days after receiving the item(s). • If you would like to return the item(s) because you changed your mind, you will be responsible for the return shipping charges. • If you would receive a damaged, faulty or different item then you ordered, please contact us. We will send a replacement item or issue a refund. We will be responsible for the return shipping for such item(s). • Products must be undamaged, in original packaging (except faulty products). Please pack items carefully when returning them. • Return address: Vykintas Urniežius, Veiveri? 51A, Kaunas, LT-46336 Lithuania • Shop4top is online business, located in Kaunas, Lithuania. We offer a wide range of original and unique products and provide professional services to customers all over the world. We enjoy what we do and hope you will be satisfied with our services. • Owner: Vykintas Urniežius • VAT number: LT100008963315 • Individual activity number: 029503 • Registration address: Šušv?s 6, Kaunas, Lithuania. • Office and warehouse address: Veiveri? 51A, Kaunas, Lithuania. • Owner: Vykintas Urniežius • VAT number: LT100008963315 • Individual activity number: 029503 • Registration address: Šušv?s 6, Kaunas, Lithuania. • Office and warehouse address: Veiveri? 51A, Kaunas, Lithuania. SIGNUP SIGN UP FOR NEWSLETTER NOW ! Add our store to your favorites and receive our email newsletters about new items and special promotions! We aim to provide only the best emotions by being able to guarantee great product quality and fast delivery along with professional service to all customers. Information ? Home ? About Us ? Feedback ? Add To Favorite ? Terms ? Contact Us Products ? All Items ? All Categories ? New Arrival ? Ending Soon ? On Sale Contact Us Shop4top Veiveri? street 51A, Kaunas, LT-46336 2017 Shop4top - All Rights Reserved.